Diana started as Director of The Bell Foundation in September 2011. 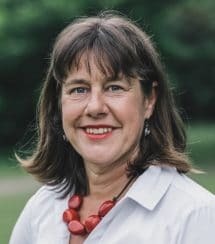 She has worked for over 25 years in UK and international charities in different senior management, policy, public affairs and campaigning roles. Most recently, Diana worked as Head of Policy and Public Affairs for the NSPCC and previously as Head of Save the Children’s office in Brussels. Diana was a Trustee of the Children’s Rights Alliance for England from 2006-2013.